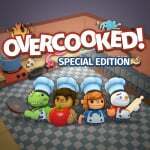 We rather liked Overcooked: Special Edition when it brought chaotic co-op cookery to the Switch back in July. It's been very popular on other platforms previously of course, but there is nothing like playing on the Switch on-the-go in tabletop mode with a friend, is there? Team17 isn't finished yet either; a future secondary patch will introduce even more improvements to performance, so watch out for that. Let us know if you have experienced a smoother framerate since updating the game with a comment below. Is it now at 30 or 60 fps? About time but still, good. I'll get that updated then. 60 fps is silky-smooth. 30fps is just... smooth. People who need 60fps to enjoy a game : don't buy this one. It's not for you, really ! @TheMockingjay No console version of this game is 60fps, only on PC. A locked 30 FPS is perfectly fine for this game. It's great fun and I really can't name any times I noticed heavy stutters. I honestly don't understand why people complain about 30 fps. Movies are only 24 fps. Yes you can see a difference between 30 fps and 60 fps, but 30 fps doesn't mess up gameplay. The 24 FPS thing is irrelevant. 60FPS is clearly better than 30 however this isn't one of those games where it will make much difference. Nice! By the time I get a Switch this game will run as best it can. Excellent. Looking forward to getting round to playing this. Never even noticed any issues....but cool! @Fred13 I totally agree. 60 FPS is borderline necessary for games that require split-second reflexes, like Smash or F-Zero, but in a game like Overcooked, which is about time management and creating patterns, 30 frames is completely acceptable and doesn't impact gameplay whatsoever. Sure, a solid 60 FPS is always better, but a consistent 30 is better than a choppy 60 frames with dips and hiccups. @Fred13 Games benefit from higher framerate more than movies because you're interacting with them. As you are getting double the feedback when you play the game feels more responsive to your inputs, giving you an increased sense of control. Can we live with 30 fps here in Overcooked? 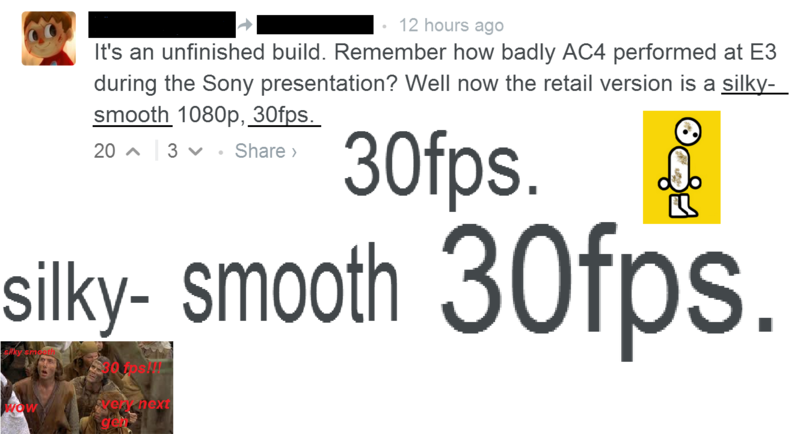 Yes, but there is no doubt that a consistent 60 fps would be a massive improvement. There is no genre of game that doesn't benefit from this improvement. As an extra note I played Overcooked earlier today and it did feel a lot better than it did before - if only it had launched this way! @Fred13 Because in a film you aren't controlling what's going on on the screen are you... The difference between 30 and 60 is huge. I'm mainly a PC gamer so I always play at over 60fps, but I don't mine a rock solid 30fps even though it's nowhere near as fluid. But as you said, you don't understand so. Depends on the game to me. Overcooked, Zelda yeah fine. But Splatoon 2, MK8D, Doom (2016), PES 2017 would all really suffer from reduced frame rate. Again yes 60fps is better, I never said it wasn't, but to me it's only marginally better. Remember when the performance issues caused a chain reaction that ruined a guy's life? I would like to have the option to lower control sensitivity. hmm I will take a look at this then. How are the improvements someone who has actually tested it in a frame dip area of the game? Im curious to know. Gesh children and their 60 frames. Spoiled brats. I didn't complain back in the n64 days. @Kobeskillz Because back then you probably didn't know any better. 20 years ago mate. Technology moves on and, as a result, so do people's expectations. I never noticed the frame-rate issue anyway. @Maxym and I still had tons of fun. In 10 years kids will be laughing at you 60 frames or nothing kids. @NintendoFan4Lyf Yes, this is very much a local multiplayer game. Excellent game, but look elsewhere for single player games. I want this game to play with my kids so I want to know if not being able to read English will diminish the enjoyment in any way. Well this is good. I haven’t personally bought this game and don’t plan on it but I’m happy for the people who have. @maruse There is very little talking in this game. I played with my brother on his pc, and I’ll think this would be a very fun game for you to play with your kids. @Wayoh2002 Thanks! I might pick it up quite soon then! Since a patch for the frame rate has been released, I am officially stoked for this game on game nights with my friends and family!